This article was last updated Jan 04, 2019, but some terms and conditions may have changed or are no longer available. For the most accurate and up to date information please consult the terms and conditions found on the issuer website. Military members and their families have unique lifestyles, including regular permanent changes of station (PCS) or deployments, so it’s only natural that they may gravitate toward service-oriented credit cards. One to consider is the Military Star® card. To be frank, there are other credit cards out there that offer higher rewards for spending, along with more travel and purchase perks. With the Military Star® card, you only earn rewards for spending at military-operated shopping, food and hotel facilities. And you must be in the military or be a family member in order to get this card. However, the card does offer a low APR and 0% APR for military clothing plan purchases. We’ll break down the pros and cons of the Military Star® card. And we’ll compare it with the Capital One® Venture® Rewards Credit Card, also a $0 intro for first year; $95 after that annual fee card that offers more flexibility and perks. Solid rewards. Cardmembers earn 2 points for every $1 on qualifying purchases at all military exchanges and other participating locations including shopmyexchange.com, myNavyExchange.com, ShopCGX.com, Armed Forces Recreation Centers resort hotels, Army and Air Force Exchange Service food courts, Express® locations, mall vendors and more. Easy redemption. Each time you earn 2,000 points, you’ll automatically receive a $20 Military Star rewards card that can be used for merchandise or services anywhere exchange gift cards are accepted. There aren’t any limits on how much you can earn each year. Lower interest rates. The card’s regular purchase rate is 12.49% variable APR for retail plan purchases, 0% APR for military clothing plan purchases. No fees. The card has a $0 annual fee. And it doesn’t charge late or over-limit fees. No points limits. There’s no cap on how many points you can earn and your points don’t expire. Special SCRA help. Active-duty personnel receive special help from customer service agents if they’re deployed or if they experience a PCS under the Servicemembers Civil Relief Act (SCRA). Nice discounts. Get a $0.05 per gallon fuel discount and a 10% food court discount every time you use the card. Also get free standard shipping on shopmyexchange.com and myNavyExchange.com with the card. No sign-up bonus. If you’re looking for a deal that offers a slew of points when signing up, you won’t get them with this card. Limited redemption options. You only earn points at military facilities. Once you earn rewards cards for your points, they can only be used where military exchange gift cards are accepted. Reward cards expire. After receiving a $20 rewards card, it expires six months from the issue date. The cards can’t be replaced if they’re lost or stolen. No travel or purchase perks. If you’re looking for perks, such as travel or rental car insurance, concierge service, extended warranty or purchase/return protections, this isn’t the card for you. If you don’t think the points and benefits that come with the Military Star® card are a good fit for your spending, you may want to consider a general credit card that offers both straight cashback rewards and more perks. The Capital One® Venture® Rewards Credit Card starts with a One-time bonus of 50,000 miles once you spend $3,000 on purchases within 3 months from account opening, equal to $500 in travel. This card has a $0 intro for first year; $95 after that annual fee. Earn a flat 2 Miles per dollar on every purchase, every day. You also earn 10 miles per $1 spent when you use the card to book rooms at Hotels.com/Venture. But where this card shines is the flexibility you have when redeeming the miles you earn. 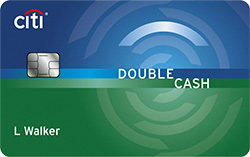 Use them to pay for travel booked either at capitalone.com or through any airline, hotel, rental car website or app using the Purchase Eraser feature, which gives you an account credit for what you spend. You can also redeem miles for a check, a statement credit or gift cards. The Capital One® Venture® Rewards Credit Card comes with perks including travel accident insurance, auto rental collision damage waiver and an extended warranty. There’s also access to culinary experiences, sporting events and concerts and music festivals. And as of December 2018, you can transfer the miles you earn to 14 travel loyalty programs, with more partners coming. 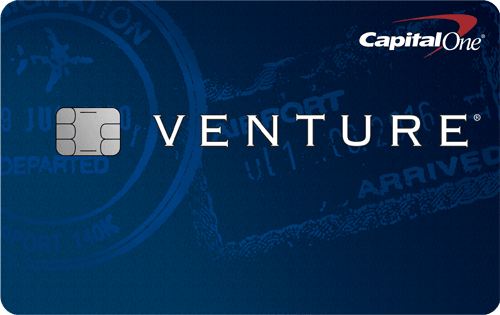 See our full review of the Capital One® Venture® Rewards Credit Card. The question to ask when deciding between the Military Star® card and the Capital One® Venture® Rewards Credit Card is what’s more important to you: having a card uniquely tailored to your needs as a member of the military or a family member of one, or having a card that offers more redemption flexibility and better perks. If you’re in the military, having a credit card that understands your unique situation is important. The Military Star® card’s customer service agents have more experience walking you through your SCRA benefits if needed. So if more flexible rewards and perks aren’t as important to you and you don’t mind earning and redeeming them only in military installations, then Military Star® card may be your best choice. The Capital One® Venture® Rewards Credit Card gives you many more options to earn and redeem miles, including military installations. It also gives you solid travel and purchase perks, unlike the Military Star® card, so it should be considered as an alternative.